First, frustration -- and some confusion on Wednesday. Now, I'm feeling anger today about the way the county is dealing with the fate of Las Vegas's natural treasure -- the Red Rock Canyon corridor that includes a massive home proposal of more than 5,000 homes near the Red Rock Canyon National Conservation Area. This morning, I just listened to Clark County Commissioner Steve Sisolak talk on KNPR and explain the commissioners voted (5-2) two days ago to allow a developer to withdraw a plan to build 5,025 homes on 2,000 acres at a mining site on Blue Diamond Hill in Red Rock Canyon. It was with the understanding that the 2011 plan for this project was still alive, Sisolak said. And besides, Sisolak told radio listeners, if the commission rejected the application by controversial developer Jim Rhodes and Gypsum Resources, he COULD sue the county or even worse, a judge COULD rule that Rhodes can build six homes per acre -- or 12,000 homes. After all, Sisolak said, Rhodes can build 1,100 homes at the site under the current zoning. Welcome to the way public policy is shaped in Clark County. Through fear that a developer COULD do this or a judge COULD do that. A county's governing board is making decisions based on hypotheticals and fear of litigation? Here's the deal: The application before the county commissioners -- assuming the 2011 plan is still in effect (there's debate and confusion about that too) -- is for 5,025 homes on 2,000 acres. So, vote on that by stamping, "reject," on it. It's a laughable proposal. Don't vote on speculating whether you think Gypsum Resources' lawyer might do this or a judge might do that. The fact is every decision you make as a seven-member county commission can draw a lawsuit. But you're entrusted with the responsibility of standing up for the best interests of the county -- not worrying about whether an applicant is pissed off by your decision and might sue. Here's what makes my blood boil. Sisolak admits he would not like a single home built on that mining site but that Rhodes has a right to build some 1,100 homes there. But that's not what is before the county. A 2011 proposal for more than 5,000 homes is apparently still alive before the county and if you think a project of that scope is way out of line for one of the most valuable natural resources in the western United States, then vote that way. Stand up for nearly 50,000 people who have signed a petition against this obscene development proposal and for the more than 100 people who attended a seven-hour hearing to explain in every which way why this project would scar and damage our natural treasure in Las Vegas. Reject this 2011 concept and say, Hell no to 5,000 homes in Red Rock Canyon. Now now. Not ever. I sure would have liked to have known what the hell was on the minds of the county commissioners who voted for this project. Because, you know, all they do is represent the people of Clark County, Nev. It's hard to fathom that after 120 speakers came before them during seven hours of testimony, there were hardly any comments by most of the seven county commissioners about the merits and faults of the actual project that would change beloved Red Rock Canyon forever. 5,025 homes on 2,000 acres atop a hill in Red Rock Canyon. That's developer Jim Rhodes' plan for the mining company Gypsum Resources' land at Blue Diamond Hill in a canyon controlled mostly by the feds, the Bureau of Land Management. The county commissioners moved along the project by voting to support that the 2011 proposal was still in affect instead of simply rejecting this application. At the meeting, the commissioners voted to accept the developer withdrawing the 2016 proposal and keeping the 2011 plan in play. This is a laughable and obscene proposal -- a project calling for more than four times the number of homes allowed under current zoning that permits 1,100. The scope of the proposal is so beyond any reasonable measuring stick that the county commissioners should simply stamp, "reject," on this application. It's a no-brainer, folks. But after the public comments, there was hardly any debate among the commissioners. Hardly any discussion. The whole deal looked like it was choreographed in light of little public comments by the county commissioners. 5,025 homes. 15,000 residents. Stunning numbers. This is the very definition of sprawl. And those numbers would translate into profound impacts on one of the sacred natural jewels of not only the Las Vegas area but the entire West. It was a long day of comments from impassioned opponents from Save Red Rock, and also from a few of Rhodes' employees who spoke in favor of the project. But as I watched on the live stream 2,400 miles away, I was struck by the fact that after the public comments ended hardly any of the county commissioners addressed the actual comments by the speakers who waited patiently on a long line to offer their three minutes of testimony. I have reported on literally hundreds of government meetings across the country and typically elected officials will offer up some type of public schpiel to explain their vote. But not Wednesday at the Clark County Commission chambers. In the end after seven hours of comments, the commissioners voted, 5-2, to move the project from 2011 ahead. Know who pushed along this plan -- Steve Sisolak, Mary Beth Scow, Marilyn Kirkpatrick, Larry Brown and Susan Brager. Commissioners Chris Giunchigliani and Lawrence Weekly voted against. The project will change this canyon. Red Rock is no place for the lights, traffic and visual intrusion. Red Rock Canyon was one of Las Vegas's signature identity markers and the Metro Valley region is already marred by sprawl spilling out in every direction. Listen to the voices about why this decision will hurt so many. I'm sorry to say that the commissioners voted 5-2 to push through Rhodes' 2011 concept plan. That's not the vote that was on the agenda, that's not why we spent 8 hours at the county building today testifying on the 2016 concept plan. What happened is that five of our elected officials who signed up for the job of making tough choices and to be the voice of the people opted to take the easy way out. So the 2011 concept plan is a go. This is Nevada lawmakers voting against the environment and the people. How we all feel as beautiful Red Rock falls to GREED and IDIOCY as set forth by our politicians who ignored our outcries. Beyond disappointed that my county commissioner Susan Brager voted with developers, against preserving Red Rock. Expected more from you. Sara Phillips at Oak Creek. Mark Antonuccio It will hurt us more than them. Red Rock is a public treasure.. We need to protect it for generations to come, and frankly I need it for my sanity. It is the one place in this town you can go to find a unique beauty and peace. It is absurd to say that the development will not diminish Red Rock. 5000 homes and as many if not more cars, plus the light pollution. The low density housing was bad enough, but the expansion to 5000 homes is a travesty. I wonder why the County Commission approved this. Is nothing sacred? Answer: no. Steve Toll had just heard that Salt Lake City was no longer in the running to host Interbike after the national bicycle trade show leaves Las Vegas after this year's September show. 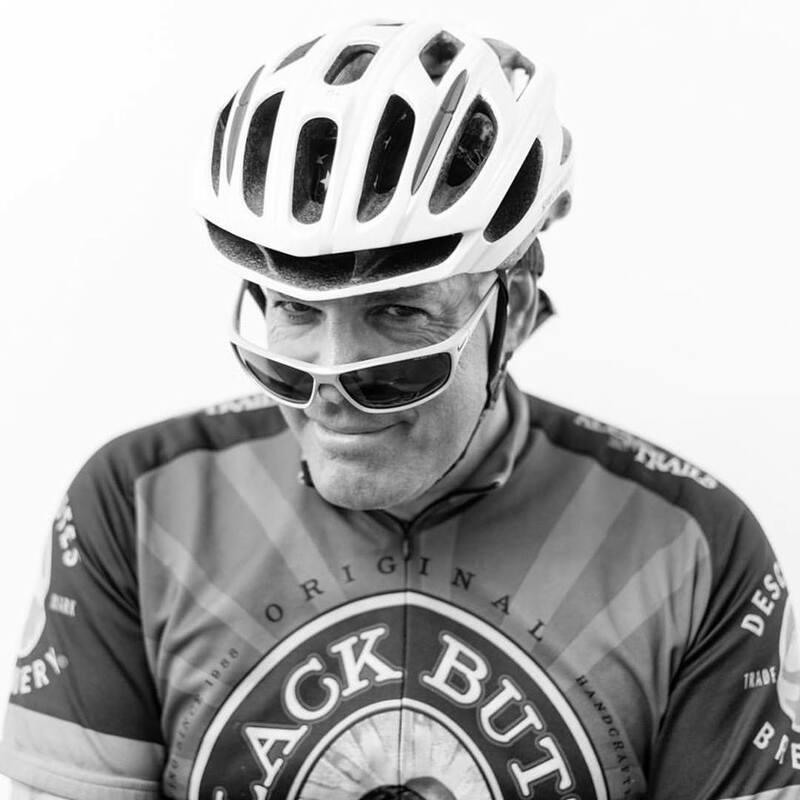 So, Steve, founder and owner of the ISM bike seat in the Tampa, Fla. area, had an idea for Pat Hus, the guy who runs Interbike for Emerald Expositions. Let's have Interbike in Central Florida starting in 2018. Steve said Interbike should be held in January at the convention center in Orlando after the holidays when bike retailers could use a nice warm and scenic place to get away to. "Central Florida has the convention center, the infrastructure, the hotels to handle Interbike," Steve said. 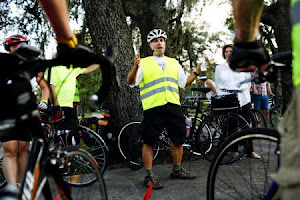 Plus, Central Florida has Santos for the mountain bikers and the "Alps of Florida" where road bicyclists can try out bikes on Sugarloaf Mountain and Buckhill Roads in the Clermont area. "There are only positives. There are no negatives," Steve said. Bicycle Retailer and Industry News (BRAIN) reported that Interbike said Thursday it would no longer consider Utah as a place to stage Interbike in Salt Lake City over the issue of public land use in Utah. Interbike is leaving Las Vegas after this year's show at the Mandalay Bay Convention Center Sept. 20-22. Interbike, once held in Anaheim, is also looking at venues in California. It was tough leaving so many great friends and the inspiring Red Rock Canyon and surrounding mountains of Las Vegas for Vero Beach a year ago. Vero Beach is a small city of 16,000 with a very rich barrier island community. I traded the spectacular mountain scenery and high desert of the West for the ocean and flat scrub lands of Florida's east coast. It was nice to know my dad and sister were just a car ride away in South Florida, too. One advantage of being in a small town is that people are more trusting and not as jaded of strangers -- and that helped me this morning when I blew out not one but two tire tubes and was left stranded 13 miles south of Vero Beach just north of Fort Pierce on Old Dixie Highway. 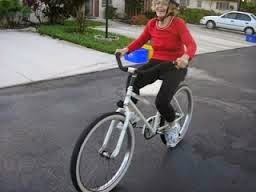 My neighbor Sharon, also a bicyclist, and I both know we can call each other if we have mechanical issues with our bikes on the road and are stranded. But Sharon did not answer and she called back to say her car was at the shop getting a new battery. So, I carried my bike to the Old Dixie Highway roadway and stuck out my thumb and lo and behold a red pickup truck was sailing along and stopped. It was Zack, a surfer from Sebastian who was driving back home after surfing the Fort Pierce Inlet just five miles to the south. He was still in his wet suit up to his waist and he looked like he was in his late 20s. Zack was a friendly chef, a graduate of the Culinary Institute of America at Hyde Park in New York's scenic Hudson Valley and we swapped Hudson Valley stories because that's where I grew up and worked for newspapers for about 10 years. I threw my road bike into the bed of his truck after he moved his two surf boards to make space and the 20-minute car ride flew by as we chatted restaurants, Hawaii where he lived and life in Sebastian. We even go to the same place for authentic Mexican food in Wabasso - Carmen's hole-in-the-wall operation inside the Wabasso Convenience Store where you can get a fish taco for $2.50. Zack works at Kountry Kitchen, just up the road on Old Dixie Highway in Vero Beach and he talked of one day owning his own restaurant on A1A in Vero Beach. The sous chef also does catering and is experienced with preparing fish -- the underrated protein, as he says. Zack talked with spirit and earnestness, and his drive and motivation will take him places. He's about to pay off his CIA student and truck loans and he lives his life the right way. Kountry Kitchen, give the man a raise or at least a bonus for his good deed. I know I'll be at Kountry Kitchen soon to thank Zack again in person and take him out to lunch one day. And Zack, consider this post a reference for any future job. You're a good guy who does things the right way. Thanks man. House arrest for 90 days. Cynthia Finnegan, who lost her son Matthew Hunt when a motorist struck him while he bicycled on the Strip in Las Vegas on Aug. 3, 2015, told me this week that was the sentence meted out to the driver, Breanna Jimeno. Cynthia said Lindsey Moors, the vehicular crimes unit prosecutor in this vehicular manslaughter case, informed her of the sentence agreement under the plea deal this week after the driver plead guilty. "I am just plain sad," Cynthia said. "I asked the DA if she (the driver) seems upset about it and she said yes." Jimeno, 23 at the time, was driving a 1998 Ford Mustang when she clipped Matthew's bicycle when changing lanes on the Strip near Treasure Island and Spring Mountain Road on the way to work because the motorist says he was in her blind spot, according to Moors, the prosecutor. As a result, Matthew landed on the passenger side of the front window of Jimeno's car before landing on the pavement. Matthew was leading a bike tour with one customer at the time. Matthew suffered critical injuries from being struck and would pass away six days later on Aug. 9, 2015. The married father of two was a bike tour leader. Jimeno stayed on the scene and cooperated with investigators. Moors said the driver, Jimeno, was not distracted or using a cell phone. 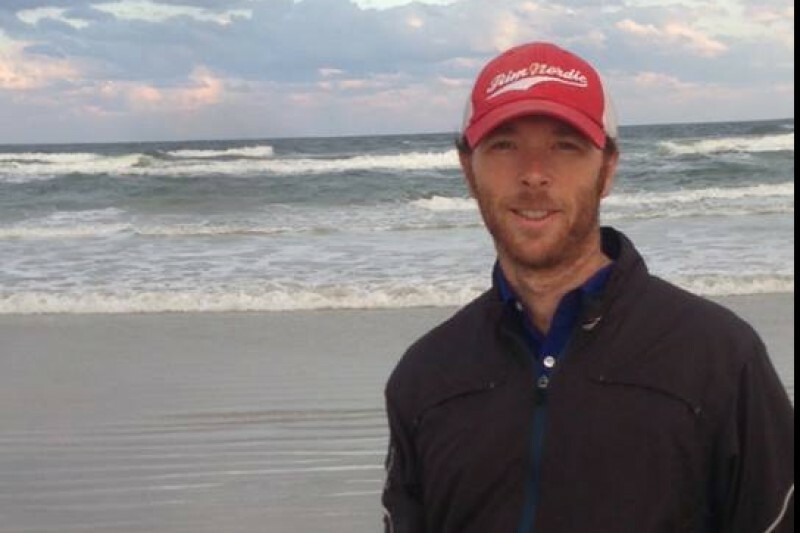 Moors said the crash happened, according to the driver, because the motorist said she did not see Matthew when passing him because he was pedaling in her blind spot. 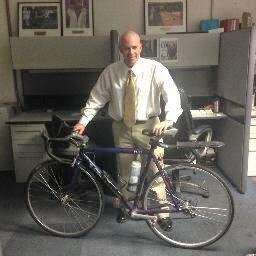 Moors took time today to explain this plea deal with Bicycle Stories. She said the motorist showed no intent to strike Matthew with her car. And based on the circumstances, the criminal culpability was at the negligent level -- the lowest level just below reckless. She said the police officer and another attorney in the department's screening office also recommended a negligent crime instead of reckless. My question is simple: How can a motorist clip a bicyclist when passing and have the bicyclist end up landing on the front window's passenger side? It was a morning bike ride when traffic is typically light on the Strip and motorists should be able to see other users of the road such as a bicyclist. The harshest penalty for negligent vehicular manslaughter, a misdemeanor, is six months in jail and a $1,000 fine in Clark County. In this case, Moors said she was not confident that she could get jail time if the case went to trial before Justice of the Peace Suzan Baucum because the driver did not show intent to strike Matthew. Cynthia took this away from the explanation. 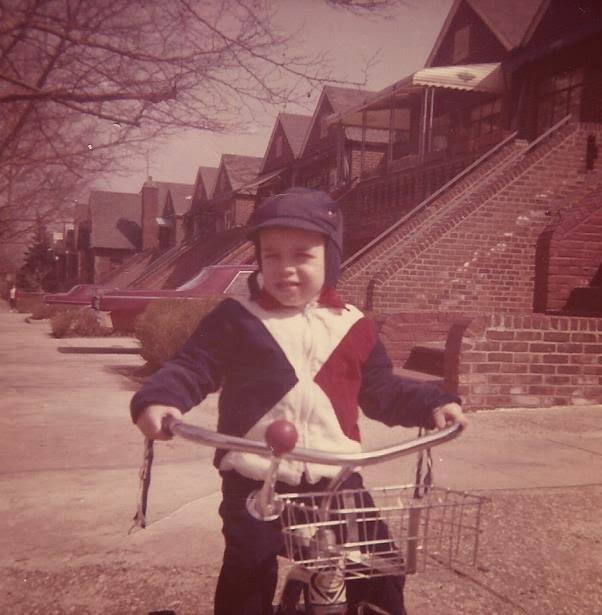 "I had said to her as long as you obey the law you can kill people people on bikes and nothing will happen to you," Cynthia wrote to me in an email. "That is when she (the prosecutor) gave me other situations besides bicycles." The driver is also responsible for restitution for any expenses not covered and is due in court May 16 for the restitution. One big takeaway: Motorists, you need to concentrate on blind spots when changing lanes. In this case, failure to see a person on a bicycle cost a man his life and took him away from his family. Bicycle Stories also contacted Metro Police to discuss the 90-day house arrest sentence. 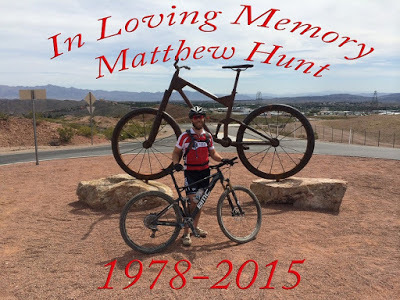 Matthew's death has weighed heavily on bicyclists in Las Vegas. A month after his death, about 500 bicyclists held a rally in Summerlin in early September 2015 to bring attention to motorists and bicyclists using the roads together. And the response on Facebook has been one of anger and sadness. Vic Miera Truly another sad, tragic day for cyclist all over this planet! Colleen Zubey Corey This makes my ❤️️ heavy daily for Matthew and his family 😓. Dahlia Horenziak This woman took an amazing man out of my life and her punishment is 90 days at home. I am beyond disgusted. Robert Mtb Wow, Total Injustice! The law needs to change. Cynthia put it simply, "No winners," after learning the motorist's sentence. 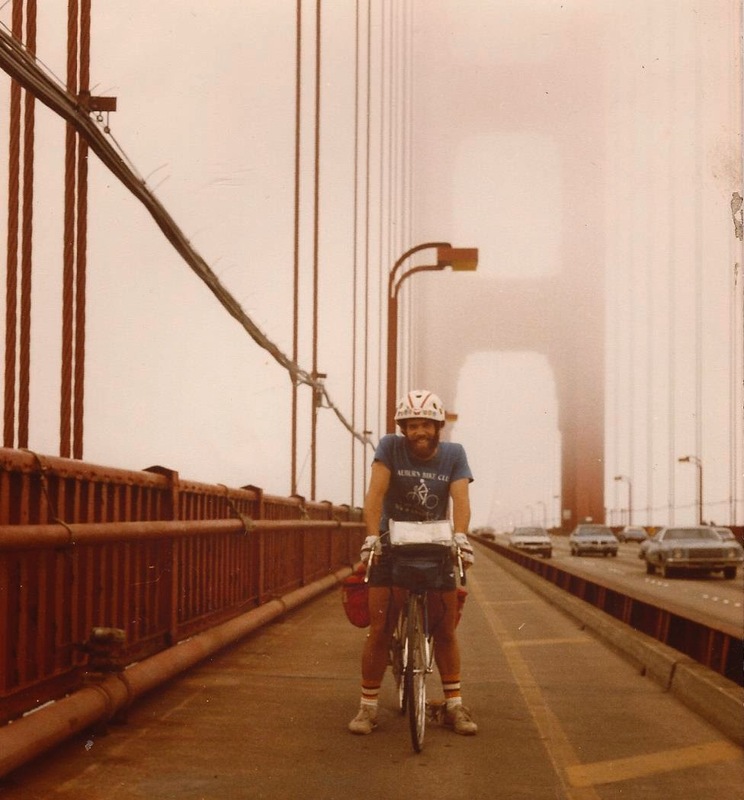 Cynthia has been a constant champion for her son's memory and safety for bicyclists and can retain some peace that her son's organs are alive in the bodies of other people. "All five of them lived through their transplants! I found that out in November."